WASHINGTON — Former House Speaker John Boehner on Wednesday said he has shifted his stance on medical marijuana in part because of the potential positive effects it could have for suffering veterans. Boehner, who said he was opposed to medical marijuana legalization during his time in office, this week was appointed to the board of advisers for Acreage Holdings, one of the country’s largest cannabis cultivation and dispensing firms. In a statement, he called for “a shift in federal marijuana policy” and said his views on the issue have “evolved” in recent years. “We need to look no further than our nation’s 20 million veterans, 20 percent of whom, according to a 2017 American Legion survey, reportedly use cannabis to self-treat post-traumatic stress disorder, chronic pain and other ailments,” he said in a statement released by Acreage Holdings. An Arizona study hoping to provide definitive answers on the medical benefits of marijuana for wounded veterans is in danger of collapsing because researchers can’t find enough participants. Boehner said one of the main obstacles to further marijuana research and acceptance is the federal classification of cannabis as a Schedule 1 drug, which places strict testing and procurement guidelines on medical testing of the drug. The former speaker’s support now makes him the most prominent Republican in the country to actively advocate for a change in marijuana laws. 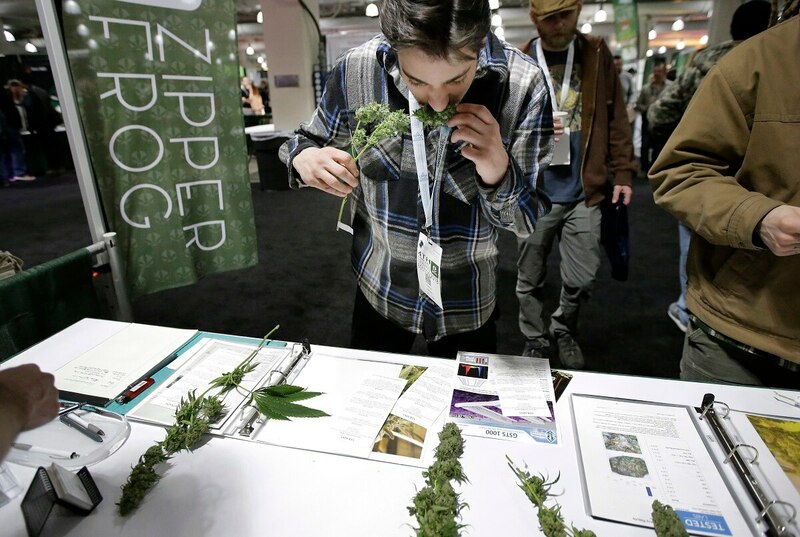 The move comes as veterans groups have made a major push on Capitol Hill for expanded marijuana research, arguing that it has the potential to become a safer alternative to highly addictive opioids for tens of thousands of veterans nationwide. The American Legion’s survey, released in November, found that more than 90 percent of veterans support expanding research into medical marijuana, and over 80 percent back allowing federal doctors to prescribe it to veterans. Medical marijuana is legal in 29 states and the District of Columbia, but is still illegal to use or possess under federal law. That prevents VA doctors from prescribing it to patients even in states where it is available. Last year, VA officials updated their guidelines to allow doctors to discuss medical marijuana with patients in an effort to better gauge its usage among veterans. But administration officials still will not let physicians recommend its use or provide assistance in obtaining the drug. Legislative efforts to reschedule cannabis and legalize medical marijuana nationwide have stalled in Congress in recent months.